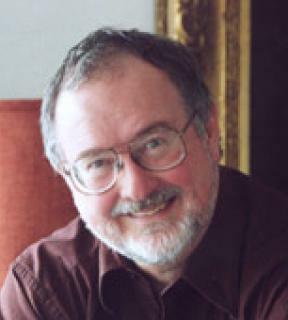 The Australian conductor, musicologist and composer, Richard Divall, was producer in the music department at the Australian Broadcasting Commission (ABC) from 1962 to 1970, especially in Asian and contemporary music and historical programming. Richard Divall made his conducting debut in Sydney, Australia. From 1971 he was Music Director of the Queensland Opera Company, and from 1972 to 1997 he was Music Director of the Victoria State Opera. For the following five years served as Principal Resident Conductor of Opera Australia. During this period he conducted 140 different operas both in Melbourne, throughout Australasia, and overseas, and has also made numerous recordings for ABC. However, his singular contribution was building a vibrant Opera Industry based in Victoria. Richard Divall is a Principal Fellow in the Faculty of Music and of the Centre for Studies in Australian Music at the University of Melbourne, a Fellow of Queen’s College (where he was also artist-in-residence), a Fellow of the Royal Asiatic Society and a Fellow of the Royal Numismatic Society (Crusader Coinage). From 1991 he is Associate Professor at the Faculty of Music, University of Melbourne. 1991. In 1997 he was Tracy Maund Fellow at the Royal Women’s Hospital in Medical History. From 1968 Richard Divall pioneered the editing and performance of Colonial Australian Music at the ABC and elsewhere. He has edited well over 200 works in this genre from Symphonies to Piano Works. He has also been active as an editor in Opera, from the Baroque to the Romantic era and is currently involved in a15 volume edition of Baroque Maltese Music for the Wignacourt Museum in Malta. He has recently co edited a prize winning book on Afghanistan and is currently editing major works of Fritz Hart, Marshall-Hall and Frederick Kelly as well as Symphonies by SS Wesley and others for performance in Europe including specialist works written for the Baroque castrati. He has delivered papers on Mediaeval Crusader and Hospital History, especially on the Military Orders of the Church, and facilitates the publication of the Catalogues of the Order of Malta which date from 1100 to 1798. Richard Divall is heavily involved in many humanitarian projects of The Order both in Australia and overseas. He is the Patron of 3MBS FM.